Bula Vinaka and a very Happy New Year to you all. As we end the past year and celebrate the coming of 2016, I hope you are all able to take the time to reflect on what we have been able to achieve and focus on the path ahead of us–a path that will take Fiji and all Fijians to even greater levels of success and prosperity. In 2015, we completed our first full year as a true democracy, and the Fijian people had the opportunity to see their votes and their voices become actions. 2015 was indeed a year of action. 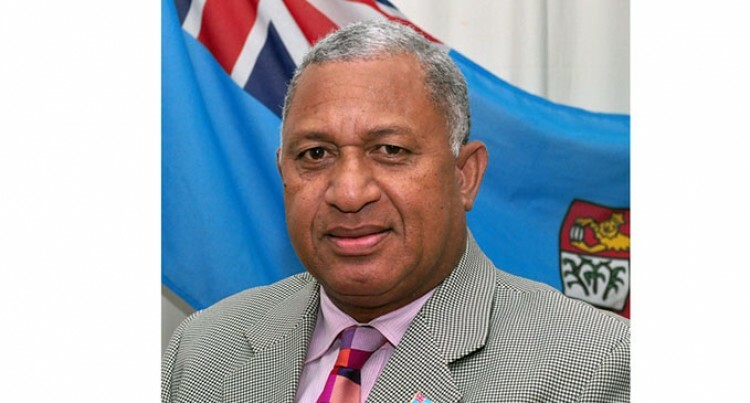 It was a year of achievement and it was a year in which Fiji truly came into its own as a model Pacific Island country. We witnessed how successful a government can be when it remains untainted by ethnic considerations and division. How effective it can be when it awards on the basis of merit. How fair it can be when it embraces common and equal citizenry for all Fijians. And how successful the country can be when we focus on growing the economy for the wellbeing and prosperity for all. These values have led us to become a more unified country, and the world has taken notice. This year, I had the opportunity to visit the Fijian diaspora around the globe and tell them what we have been able to accomplish as a new Fiji. I let them know that Fiji is back; better than ever before, and that we are open for business. The changes that we have implemented were long-awaited by many of our Fijian brothers and sisters overseas — and it was an emotional time, as we reconciled with many people who were told that Fiji was no longer home for them. They recognised the progress we’ve made, and many committed themselves to walk side by side with us towards an even more prosperous and united future for our country. As we recapture what we lost, and rebuild relationships with many Fijians who were driven away, we will strengthen our global presence. And with their knowledge and investment, and together with our home-grown talent, we will take our economy to even greater heights. That is why reconnecting with our people living abroad is so important. Last year I asked you all to capitalise on our transition into democracy, and I am proud to say we are meeting that challenge every day. In 2015, we built upon our education revolution, we continued to improve and modernise our infrastructure – connecting more and more Fijians to roads, water and electricity – and we logged our sixth consecutive year of economic growth. Our schools continue to equip our children with new technology in the classroom that will keep our students, and future workforce, competitive on the regional and global stage. Our infrastructure continues to develop, bringing essential services to every corner of the country. Our economy is improving every day, and my Government will remain committed to making sure that the benefits reach every level of our society. All of this was made possible because the vast majority of Fijians are focused on the future, they don’t live in the past, and they don’t want to go back to the politics and ways of the old. They have stood as one people, together, to confront the obstacles that came our way and now step into the future confidently. To strengthen our stand as one modern nation, free from its colonial past and to give ample opportunity to Fijians of all ages, and in particular our youth, to further contribute and consider what symbols most rightly represent our wonderful nation; my Government has decided to further extend the feedback period for designs for the new national flag to 29 February, 2016. The Government has received a number of new submissions since the 23 designs were published earlier this year. The new time frame will be as follows: From 1st to the 19th of March 2016, 5 designs will be chosen, through the PM’s Office, for you all to vote on. Members of the public will have three months to vote on the five designs through public consultations, social media and text messaging. It is expected that the design with the most votes will be announced on 1 July to be our new national flag. The new national flag will be raised on Constitution Day which is on September 7. I urge you all to join our pursuit for a flag that represents who we are today, rather than our past and one we can fly proudly into the future. With that said, my fellow Fijians, our work can’t stop here. There is much that is left to be done, not only to reach our potential in the short-term, but also to pass on better opportunities to our future generations. That means leaving our children and grandchildren a world, and environment, that we can be proud of. Recently, I was in Paris at the United Nations Conference on Climate Change advocating a strong deal that addressed the threat climate change poses to our region and demanded real action on the part of developed countries. At the start of this month, the UN laid out the Paris Agreement. It’s not everything we asked for, but it is still a step in the right direction. But now, more than ever, our commitment will be tested as we continue to fight to make sure the strong words printed on the agreement take the form of real, binding cuts on emissions through the developed world. I am counting on other small island leaders to stand fast, as we have in the months leading up to the conference, and on our development partners to continue collaborating with us as we push forward in mitigating the effects of climate change. By having a national co-ordinated approach, we will mainstream climate change issues to all the Government ministries and ensure that we are able to source the right levels of financial support and allocations. I hope that you have been able to spend quality time with your families and loved ones this holiday season. Families are the backbone of our country, and we must do what we can to protect the sacred bonds of trust that hold our families together. That is why I have committed to using every available opportunity I have to condemn domestic violence and sexual assault that plague our society. The law punishes these crimes severely, but we need to create a culture that disgraces anyone who even thinks about abusing or assaulting our women and children. And people who commit these atrocities should be mortified to show their faces in our communities and in our society. When we allow violence to persist in our most private settings, when we have such a fundamental breach of trust, it creates an epidemic of destructive and immoral behaviour that spreads throughout our society, and it is our collective responsibility to prevent that from happening. As Fijians, we should be able to look at ourselves in the mirror and know that we are doing our utmost to protect those who cannot always protect themselves. So, I call on all of you to join me in this mission to ensure that every Fijian woman and child lives a fulfilling life that is free from violence and abuse. As we close out 2015, let us, above all, thank God for the many blessings, and let’s resolve to do our best to keep building a better Fiji. Wherever you are on this New Year’s Day, I wish you all a very happy and prosperous 2016. Vinaka Vakalevu. Thank you.